Reducing bad debts and long term overdue balances. Full control and forecasting of your cash flow. When you have good cash reserves, you’ll be in a better position to deal with unforeseen day to day fluctuations. With your cash under greater control, you can spend less time managing accounts and more time doing other things to benefit your business improving customers service or selling more! Better cash flow can enable you to put more money back into the business for things like new facilities, products or processes to make your business profitable and more productive. With more cash at hand you can reduce your debt burden quicker and avoid interest payment charges or worse still late payment charges. Knowing that you have spare cash to cope with whatever opportunities or challenges may come your way in the future! CreditKnight offers you a comprehensive yet flexible cashflow control and cash collection forecasting solution. We’re confident you’ll see a marked improvement in your cash position after only a short time of using Creditknight. Reminders for fully automated cash collection. Centralised CRM of your debtors. Every part of the CreditKnight solution has been designed to save time and improve efficiency when it comes to managing your cashflow. 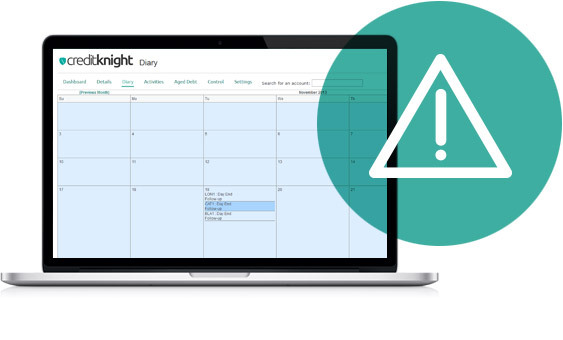 You can customise CreditKnight to alert you when you need to chase for collections or you can set the system to send out reminder letters on your company’s behalf providing you with a fully automated solution. With our unique CRM KPI Reporting Module, you can evaluate the benefits that have been realised from the vastly improved cash flow control that CreditKnight has brought to your business. 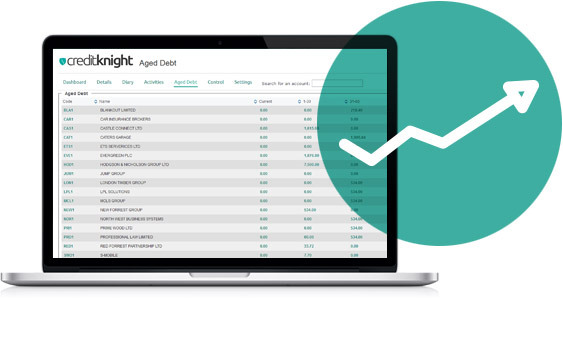 CreditKnight is a truly flexible provider of automated cash collection. 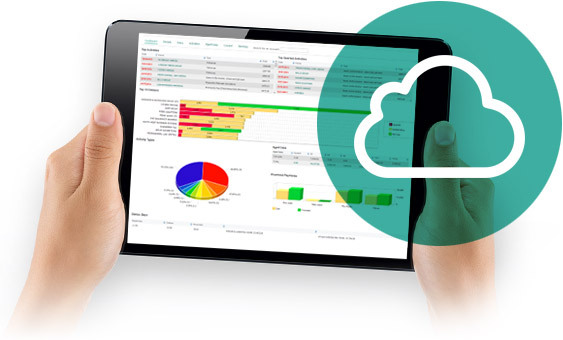 Works seamlessly with all accountancy systems. No back ups required or software updates. With similar solutions based around traditional software methodologies we wanted CreditKnight to stand on its own as a cloud based solution. So we made CreditKnight as intuitive as possible so it works with all accountancy systems and to let you use it as you see fit. You can immerse yourself fully in your business’ cashflow and analyse the inflow and outflow month on month or if you’re short on time you can simply log on for a quick overview of your cashflow through the dashboard. No backups or waiting for time to download version 2.1.0.5 for the latest updates. Any updates or additions to functionality are made directly to the core system meaning that you can use them straight away, the next time you login to CreditKnight. Add to this the fact that you can access the system wherever you can get onto the internet, on a plane, in a motorway services, at a restaurant; CreditKnight gives you a really useful solution. © 2014 CreditKnight and Sollertia Limited. All rights reserved. CreditKnight is powered by Sollertia. Site by Avenue.